Scotland-born Mark Donald, who has worked at a number of internationally renowned two Michelin star venues – including senior roles at Restaurant Andrew Fairlie at Gleneagles and Claude Bosi’s Hibiscus restaurant in London – joins the Princes Street venue from Sydney, Australia, where he was head chef at Bentley Restaurant and Bar. Mark oversees a team of 13 chefs in Number One and is said to have created an “innovative new menu” inspired by Scotland and flavoured by his and the team’s international travels. New dishes on the menu include oysters with smoked kipper and parsley; hand dived scallops with Iberico pork and black garlic ketchup; and Scottish wood pigeon, green juniper and blood and potato cake. And a new partnership has placed Highland Wagyu beef on the menu for the first time at Number One; it is served with beetroot and smoked bone marrow. 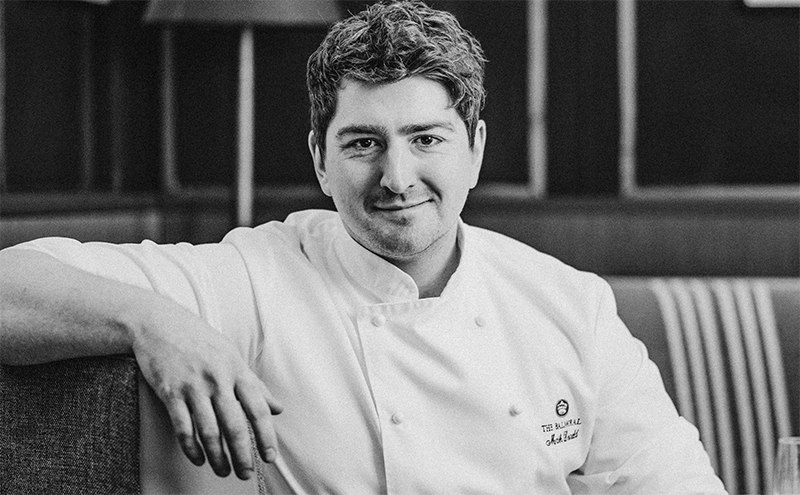 Commenting on the new appointment, The Balmoral’s executive chef, Jeff Bland, said: “Mark brings a fantastic grounding in fine dining, having worked at some incredible world-renowned establishments. His approach to fusing the best of Scottish produce with international flavours brings a fresh new style to Number One.